Wells Fargo Advisors to Shift Operations to 2500 Westchester Ave.
Wells Fargo will lease more than 21,000 square feet of office space at 2500 Westchester Ave. in Purchase, which is owned by Normandy Real Estate Partners of Morristown, NJ. PURCHASE—Wells Fargo Advisors will be relocating operations later this year to more than 21,000 square feet of space at Normandy Real Estate Partners’ 2500 Westchester Ave. office building in Purchase. The firm will be moving within the I-287 corridor from RPW Group’s 1133 Westchester Ave. in White Plains to 21,294 square feet of space at 2500 Westchester Ave., part of Normandy Real Estate Partners’ The Exchange portfolio that is currently undergoing a $3-million capital improvement program. Wells Fargo Advisors intends to move more than 75 employees to the 164,000-square-foot office building sometime during the fourth quarter of 2019. CBRE’s Brian Carcaterra, Michael McCall and Kellene Callahan represented Normandy in the transaction, while Wells Fargo Advisors was represented by Paul Kauffman of JLL. While financial terms of the lease were not disclosed, CBRE reported that asking rent in the deal was $27-per-square-foot. He added that among the capital upgrades at 2500 Westchester Ave., include a tenant fitness center, complete with lockers and showers, and a high-end conference facility. Improvements were also made to the on-site café and to shared corridors and bathrooms. The commercial brokerage firm, which is launching its 2019 leasing campaign for The Exchange portfolio, negotiated more than 15 deals totaling in excess of 52,000 square feet at The Exchange portfolio last year. Among last year’s transactions included leases with Bartlett LLP, the Westchester County Business Journal, TMPG, Wells Fargo Home Mortgage and AI Holdings. 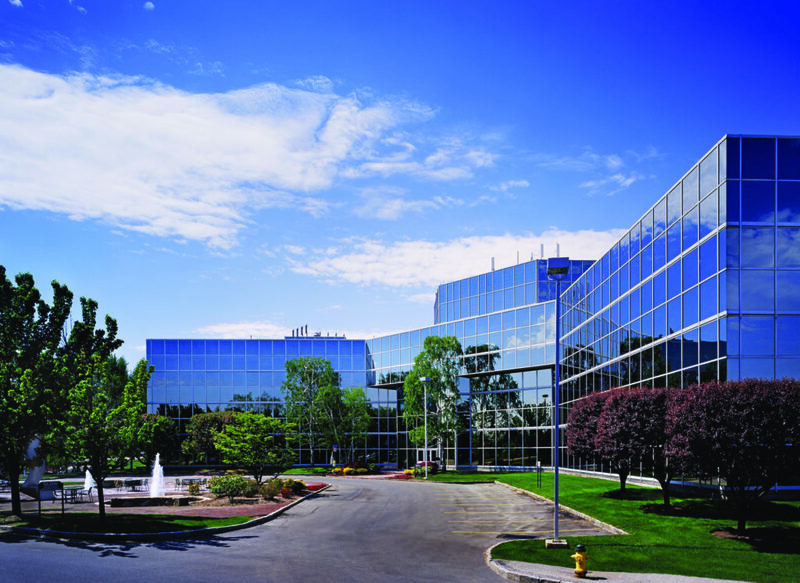 2500 Westchester Avenue is a part of Normandy’s The Exchange portfolio, which totals almost 1 million square feet across two office parks consisting of 2700 Westchester Ave., 701 Westchester Ave., 707 Westchester Ave., 709 Westchester Ave., 711 Westchester Ave., and 777 Westchester Avenue. The portfolio is located in White Plains, Harrison and Purchase along the I-287 corridor in Westchester County. Normandy Real Estate Partners has also traded a number of its underperforming and out-of-date office buildings that have been or are in the process of being redeveloped for other uses, including multifamily and retail. For example, Normandy has sold multiple buildings in The Exchange portfolio in Harrison, to Toll Brothers Apartment Living for a multifamily development and to grocer Wegmans.